Poster Frame was developed to exploit the best advantages of Rope Edge and V-Grip® framing for indoor and outdoor banners and posters. The extended anodised frame covers all glue and stitching lines where the rope edge is used producing an attractive frame for the banner or poster. 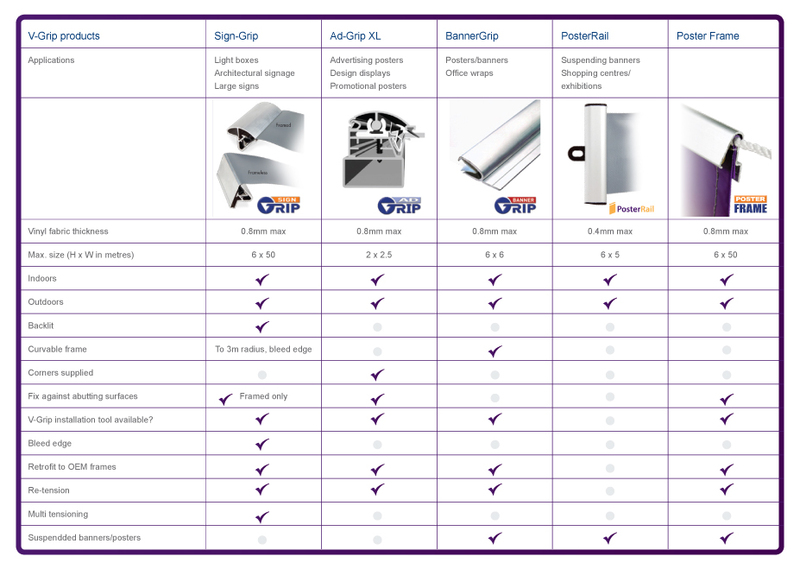 For a detailed technical information sheet on the installation of Poster Frame please click here to download the PDF file.